A male victim, 21, was attacked by three unknown masked subjects, one armed with a handgun, officials say. NCPD are investigating a Robbery that occurred on Wednesday, May 31 in Uniondale. Uniondale, NY - May 31, 2017 - The Public Information Office reports the details of a Robbery that occurred at 12:25pm on Wednesday, May 31, 2017 in Uniondale. According to Police, three unknown male subjects approached a residence on Lawrence Street, went to the rear of the house and knocked on the door. When a female resident answered the door, they asked for the male victim by name. The male victim, 21, was in the basement apartment; when the subjects entered the apartment they were wearing masks and a struggle ensued. One male subject pulled out a black handgun and struck the victim in the head causing a laceration to the head and face. The subjects left the scene in an unknown direction. Proceeds are unknown at this time. The victim was transported to the hospital for treatment of his injuries. The investigation is on-going. 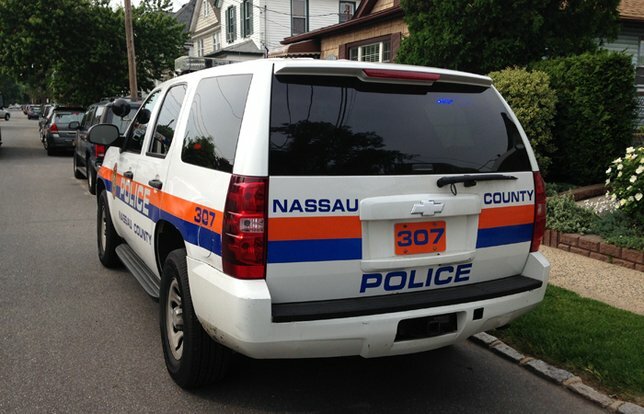 Police request anyone with information to contact Nassau County Crime Stoppers at 1-800-244-TIPS. All callers will remain anonymous. Subject: LongIsland.com - Your Name sent you Article details of "Nassau Police Investigating Robbery and Assault at Uniondale Residence"